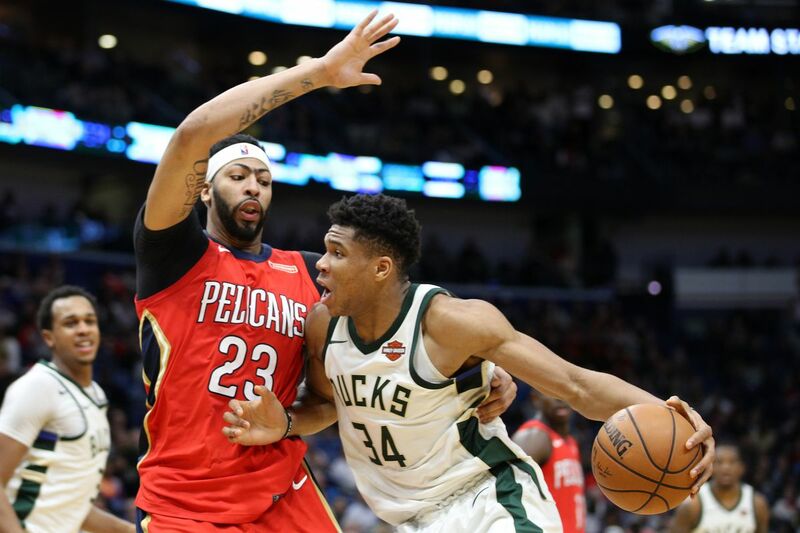 Why did AD decide to request for a trade as early as now? There are two ways of looking at this, and at this point, both are purely speculative. One way is that he being respectful to the Pelicans organization, just like how Paul George was to Indiana during the 2017 offseason. Airing out his demand now gives the Pelicans a clear idea of where they can go towards moving forward. There’s no longer a need to force yourselves to be buyers to try and convince AD you’re committed to winning. You’re definitely sellers, as you have to move a player who is no longer committed to the franchise he was first drafted in. 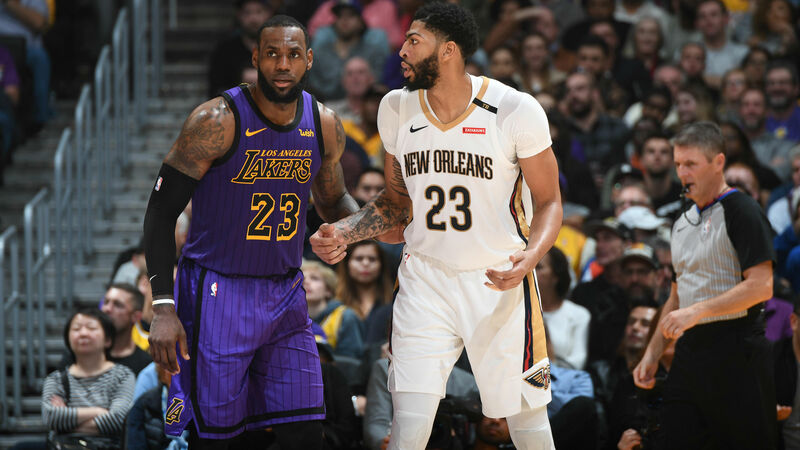 Who are the top candidates to acquire AD? It’s easy to say the Lakers are the favorites to land Davis, and for good reason. The Rich Paul connection, LA’s bevy of young assets, and the simple fact that it’s LA. It’s really easy to call this a done deal, but there are plenty of challenges LA has to go over before this materializes. First; just how much are they willing to give-up to acquire the Brow? Brandon Ingram is considered by many as a lock to be in trade rumors. Not even dunking on Corey Brewer can change that fact. But once you start to talk about Kyle Kuzma, it starts to get a little dicey. Kuzma may not have as much athletic upside as Ingram, but he’s established himself as a sure scorer who can produce at any given minute. The same can be said when talking about Lonzo, because daddy and shooting issues and all, his passing ability, vision, and ability to defend are all exceptional qualities. Second; they aren’t exactly alone in these sweepstakes. Enter their biggest challenge yet, and coincidentally their longtime rivals, the Boston Celtics. This is it, the moment Danny Ainge has been waiting for. He never bothered to throw the kitchen sink at guys like Kawhi Leonard or Paul George. 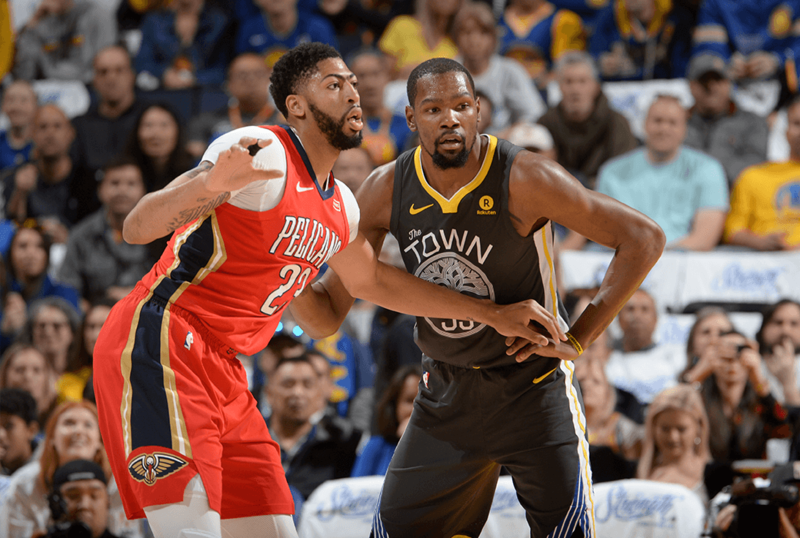 But someone like Anthony Davis, a player many would consider a generational prospect, seems worth it to give up his treasure chest of assets. While LA matches Boston in terms of quantity of assets, it’s arguable that the Celtics’ young pieces have better quality than whatever the Lakers have to offer. Here’s the difference, something number of 30 point, and 20 point games can’t explain; the youth of Boston have proven themselves in the biggest of stages already. Pushing LeBron James to a Game 7 without Kyrie Irving and Gordon Hayward speaks volumes of the talent level of Boston’s players. Jayson Tatum is a born scorer who you could plug into any team. Is he a future MVP candidate? We’re not entirely sure yet, but there’s zero doubt he has the upside to be a team’s number one option moving forward. Jaylen Brown, despite his struggles this season, has two-way upside that’s rare among young players. Other than their two main wing pieces, they also have plenty of assets to throw such as Terry Rozier, and their boatload of draft picks that they acquired from the past. Here’s what the Lakers have against the Celtics though; time. The Lakers can already make a grand offer as early as now, unlike the Celtics who can’t acquire Davis until July 1, 2019, due to a wrinkle in the CBA (The Rose Rule: a team is not allowed to have two designated players on their roster at the same time) that doesn’t allow Kyrie and Davis to be teammates as of this moment. 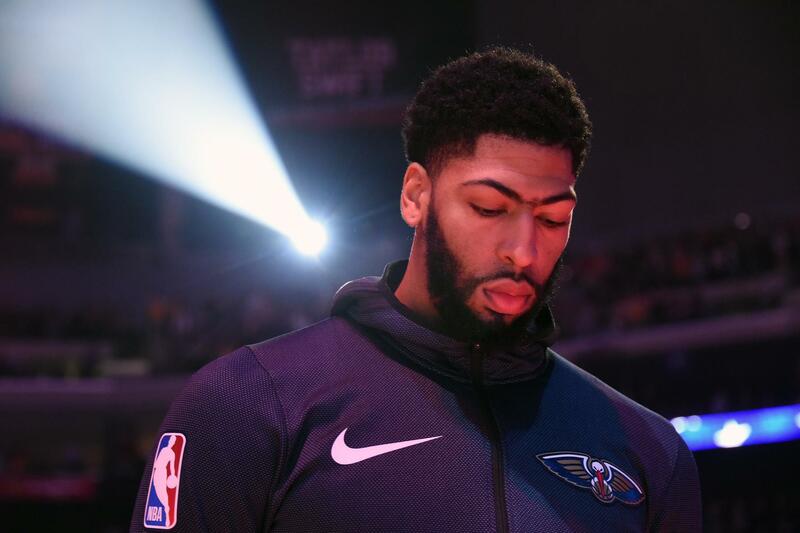 It all boils down to how Dell Demps and the Pelicans want to handle this situation as the trade deadline beckons. 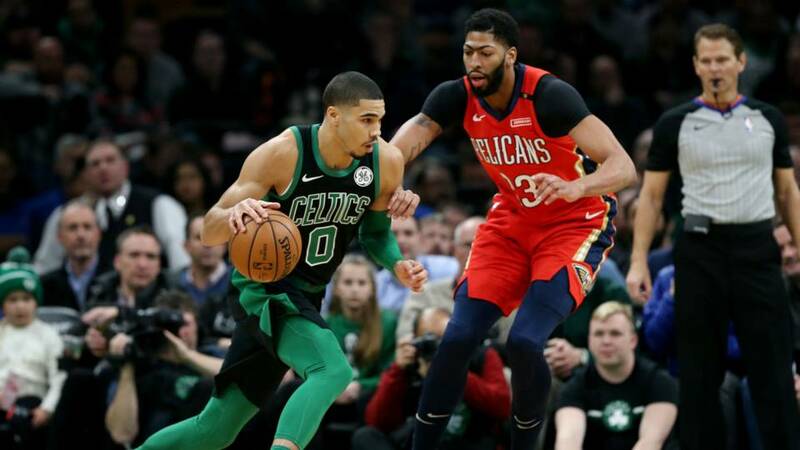 Welcome to the modern Lakers-Celtics rivalry, with the Pelicans as the special guest referee. For now, it’s the front offices doing battle. Maybe sooner or later, their rivalry will spill back on the court, with Anthony Davis donning one of the team’s colors. What about the other teams mentioned a lot, like Milwaukee and Philadelphia? Let’s break it down per team. Among these three teams mentioned, Milwaukee is probably the most intriguing one to think about. Imagine; Anthony Davis and Giannis Antetokounmpo IN ONE TEAM. That’s enough length in a front court to cover the entirety of EDSA. it’s definitely exciting to think about, but it probably isn’t happening. In the first place, why would Milwaukee do this deal? They’re already the top team in the league and have built the perfect kind of team around Giannis filled with shooters and creators. They have a good thing around Milwaukee already. They may end up giving up too much for a player who doesn’t exactly fill a need for the Bucks. Philadelphia is another team that tickles the fancy of a lot of fans, and for the same reasons as Milwaukee. Imagine; Anthony Davis and Joel Embiid IN ONE TEAM. How teams score against that front court, I’m not too sure either (maybe they can try attacking Embiid off PnRs. Just maybe.) But once again, why do this deal? If it means giving up Ben Simmons, they won’t even bother. As it is, Philly isn’t loaded at the guard spot. Giving up Simmons wouldn’t help their depth issues at all. Who are darkhorse candidates to watch out for? One of the teams that have been gaining traction in the Anthony Davis sweepstakes: the Toronto Raptors. This is a move that feels kind of confusing considering how good the Raptors have been as of late, but it makes sense either way. It’s a very win now move by the franchise, as they’d have to give up their young assets such as Pascal Siakam and OG Anunoby to get AD. But if it means pairing up Kawhi Leonard with AD for an all-in attempt to go for the championship this year? Why not? The Denver Nuggets another intriguing destination for Davis. 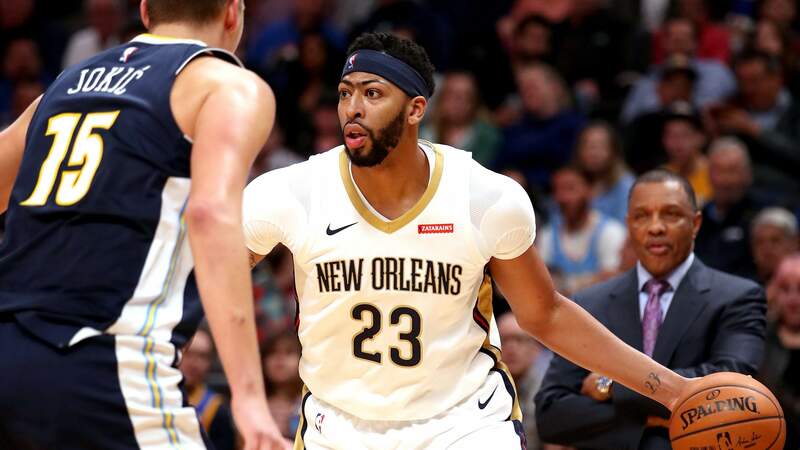 It isn’t exactly treated as a prime destination for free agents, but the possibility of pairing Nikola Jokic with someone like the Brow seems to hard to pass up on. It’s a perfect fit between the two, as AD has the mobility and length to cover up whatever deficiencies Jokic has on the defensive end, and Davis would be the best lob option in the league beside the savvy Jokic. They also have the assets, with Jamal Murray, Michael Porter Jr., and Gary Harris having been mentioned in conversations. The Portland Trailblazers have also been thrown around as a potential destination for Davis, and for good reason. Portland has been stuck as *just* a playoff team for quite some time now, never seeming to get over the hump to becoming a title contenders. AD could be that guy to turn the tide for them. It would possibly mean Portland giving up CJ McCollum and a bunch of other players, but a Davis-Lillard pairing would be quite the treat to behold. Can the Warriors somehow get his services? Let me throw the question back at you; do you want to watch the world burn? In all seriousness, with how crazy the NBA has been as of late, this isn’t outside the realm of possibility. The Warriors do have Boogie Cousins and Kevin Durant, so really, who knows? Made up deals swirling around AD and the Warriors have involved giving up Andre Igoudala, Shaun Livingston, and Jordan Bell. You’d also probably have to throw in draft picks here and there to convince the Pelicans. In short, it CAN happen. WILL it happen though? Probably not. But, crazier things have happened in this league. If this deal somehow materializes, we might need to start rethinking our NBA fandom.